In the case of Susan Cohn v. The Grand Condominium Association, Inc., the Florida Supreme Court affirmed the opinion of the Third District Court of Appeal, finding that a 2007 amendment to Section 718.404, Florida Statutes, was unconstitutional as applied to The Grand Condominium Association (“The Grand”). Siegfried Rivera Lerner De La Torre and Sobel P.A., represented PH Hotel, Inc. and PH Retail, Inc., the owners of all of the commercial and retail units at the property, who had a significant stake in the outcome of the appeal . Because this amendment would require that the voting scheme at The Grand be changed, the association filed suit seeking a declaration from the court that the amendment was an unconstitutional impairment of contract (a Declaration of Condominium operates as a contract). The circuit court found that the amendment, as applied to The Grand, was unconstitutional. Cohn appealed, and the Third District Court of Appeal affirmed the lower court’s ruling. Cohn then appealed to the Supreme Court, which also affirmed the decision stating that because the amendment would change the distribution of voting power, the retroactive application of this section of the Florida Statutes must be invalidated because it constituted an impairment of the obligation of contract. 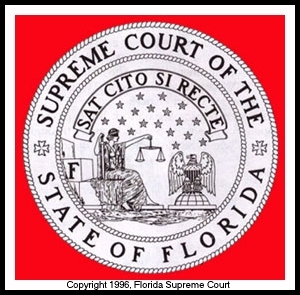 In analyzing the application of the 2007 amendment to The Grand’s Declaration, the court applied the three step balancing test set forth in the landmark case of Pomponio v. Claridge of Pompano Condo., Inc. in order to determine whether the amendment was constitutional (and therefore did not impair the contractual rights of the parties). The first question for the court to answer was: “Was the law enacted to deal with a broad, generalized economic or social problem?” The court answered the question in the negative as there was no explanation ever given as to why the “retroactive” provision was enacted. The second question for the court to answer was: “Does the law operate in an area which was already subject to state regulation at the time the parties’ contractual obligations were originally undertaken, or does it invade an area never before subject to regulation by the state?” The court answered the second question in the negative. When The Grand was organized in 1986, the Condominium Act was in effect. However, legislation regarding mixed-use condominiums did not come into existence until 1995. Because of the specific language in The Grand’s Declaration stating that it was subject to the terms of “the Condominium Act of the State of Florida in effect as of the date of recording this Declaration,” the Supreme Court found that the amendment did not apply to The Grand. In its analysis, the Third District Court of Appeal stated that “voting arrangements in a condominium are of great importance, and the change imposed by subsection 718.404(2) operates as a substantial impairment of the existing contractual relationship.” For PH Hotel and PH Retail, a change in the voting scheme of The Grand would have been severe, permanent and immediate, as their voting rights (2 commercial votes and 2 retail votes) on The Grand’s Board would have been obliterated. The fact that the Supreme Court found an amendment to the Condominium Act to be unconstitutional – as it applied to The Grand – does not render the entire Act meaningless. There are hundreds of thousands of condominiums in Florida that do not have “amendment” language in their governing documents, and it was likely not the intent of the Supreme Court to invalidate the Condominium Act as it applies to them. What it does mean, however, is that any new amendment at issue in a particular condominium is going to have to be analyzed on a case by case basis applying the three-step test set forth in Pomponio.